Love the shoes we offer - but want a custom color combination in a specific design? Want to order matching pairs for a special occasion, such as a bridal party or reception. Let us know! Custom shoes require great detail, additional time to be made, and cost a bit more. We can only vary the colors in our existing designs (not create custom shapes, etc.). 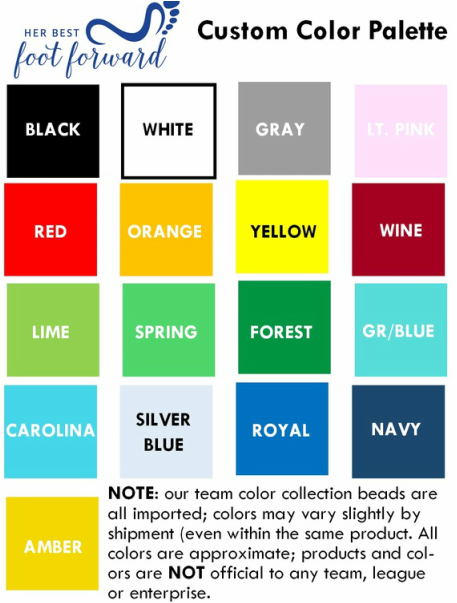 We can only utilize colors we have in stock - limited to those which are provided on our Custom Color Palette (and, at times, we may not have all colors on hand). We can obtain beads which have a pearl-like look and feel. 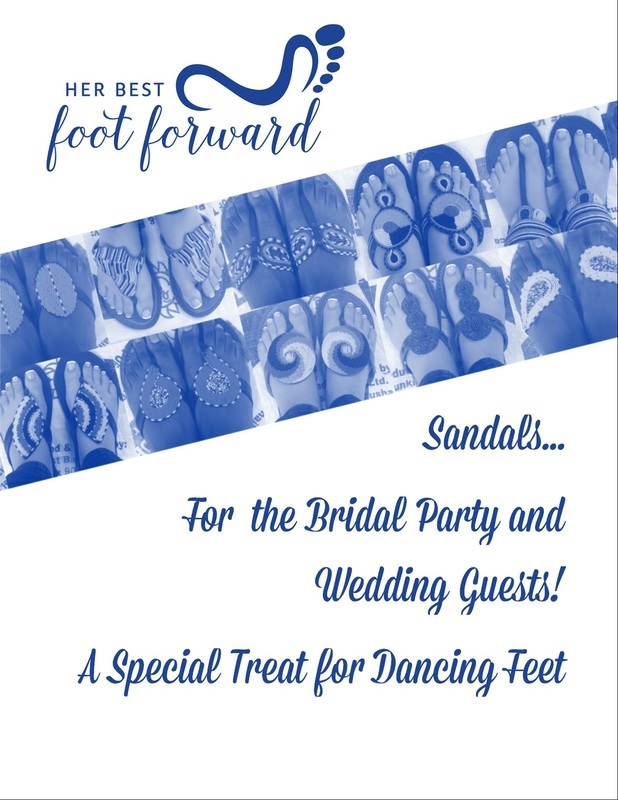 Please make your request using the form below and we will get back to you to let you know if we can fulfill the offer, when it will be fulfilled and the price of your custom sandals (prices for custom sandals begin at $85). Interested in a Custom Sandal Quote? Complete this Form!